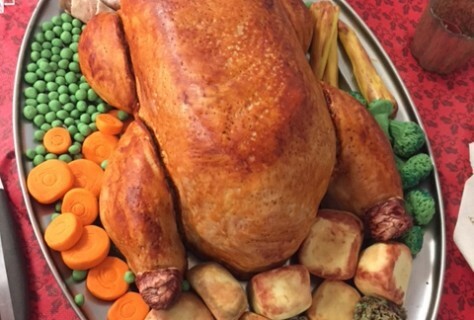 It was the final Instalment of the D4R Christmas bake off and it’s all come to end for another year. 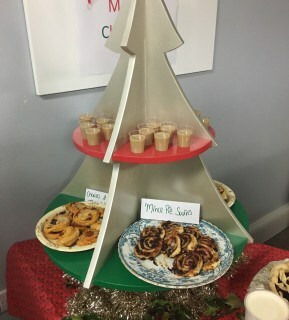 It was pastry week with our projects team and they finished the competition with a bang! It was like Christmas diner in their office with a turkey and all the trimmings and masses of food around the table. They created a great atmosphere with the Christmas tunes playing and plenty of funny photo opportunities. 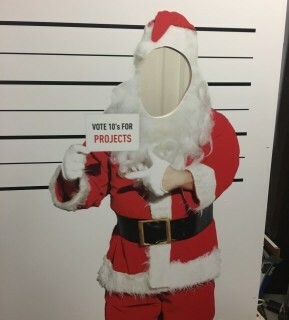 They’d created a Santa police line up with face holes and everyone was to have a quick snap done before they could go any further. 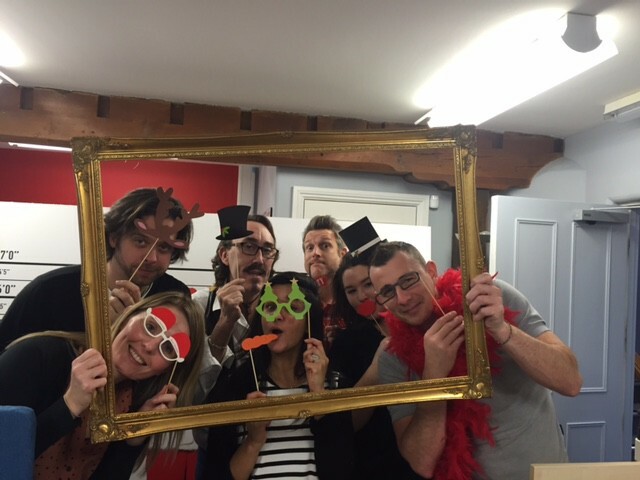 There was even Christmas Selfie props and photo frame to create great snapshots of everyone. The food was delicious and there was plenty of option to choose from. The food on offer, with many Christmas references, was Coq in a Roll, Sage, Roast Tomato + Olive moments and Pancetta + Red Onion tart. As well as Roast Tomato + Olive moments, Bacon + Cheese Yuletide Plait and B.B. Gesus which was Bacon, Brussels and Garlic Parcels. To have after there was Jingle berry tart, Mummy’s cherry pie and Nutty apple Strudel. Mince Pie swirls, Shh its 11 o’clock mince pie swirls and Cream SanTeas and Last but not least the centre piece of all centre pieces, the Christmas Dinner with ‘The works’ Cake. Now that all departments have competed and all scores have been counted and verified all there is to do now is wait for tomorrow Christmas party. 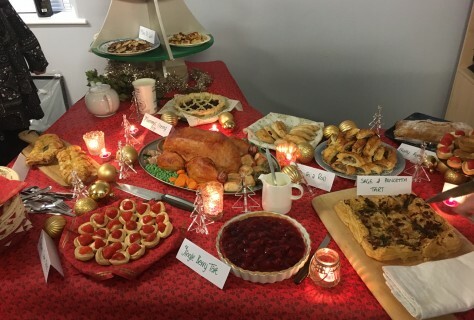 The winner will be announced tomorrow evening and that team will be crowned d4r Christmas bake off winners 2015 and they get to hold onto that title till next year’s d4r Christmas bake off. Make sure you check out our blog next week to see who was crowned winner 2015.